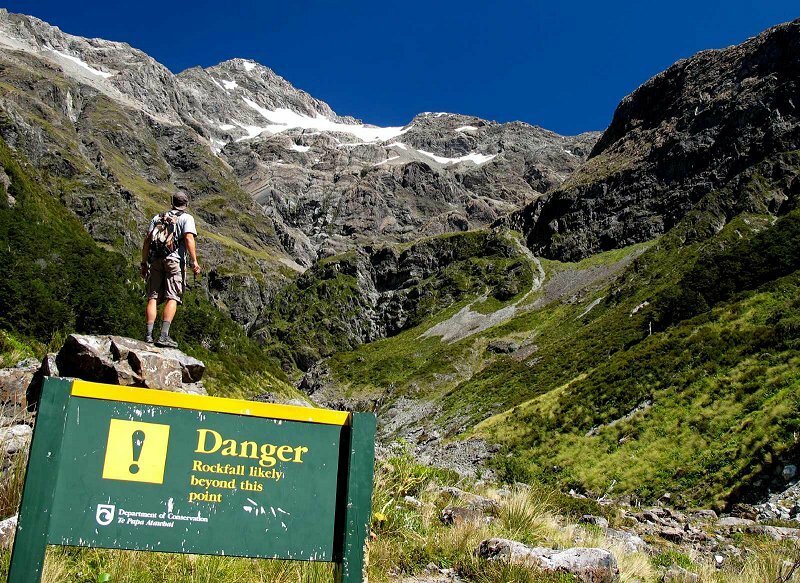 LOCATION: The start of the track is from a carpark, 3km North of Arthur's Pass Village. 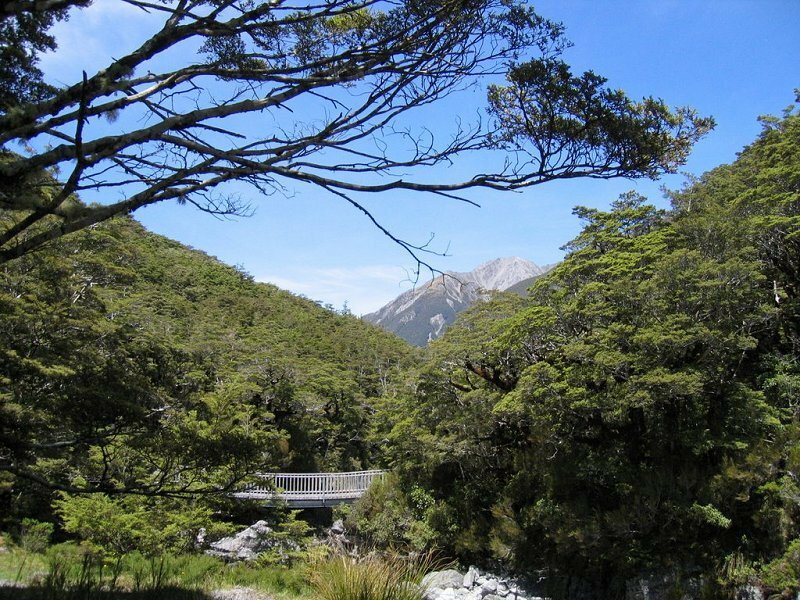 DESCRIPTION: This is an attractive well-graded walk through mountain beech forest to the base of Mount Rolleston. This area is old-growth beech forest and is great for forest bird-life and the diversity of vegetation types. The track starts from a car-park 3 km north of Arthur's Pass Village on SH 73. The little green Jack's Hut, an historic road worker's hut, is just across the road. About 200m in turn left down a flight of stairs onto the Bealey Valley Track. The track is bridged across the Bealey River at "The Chasm". The track grade deteriorates a bit here as it rises to a tussock clearing (alpine bog) and into the sub-alpine forest again before reaching the river again after about 20-30 minutes adjacent the avalanche warning sign. This is the "official" end of the track. Return the same way. EXTRA EXPLORING: From the avalanche sign a unmarked track continues up valley (30-40 minutes one-way). This is the mountaineers access track and can be followed into the upper valley area. In Winter / Spring this entire area can be threatened by avalanches; at any time of year it can be an active rockfall area! You will need to scramble up steep banks, and cross flowing creeks. Be very careful of loose and slippery rocks in the upper valley. Stop before you get to the "black canyon" in the head of the valley. Warning: Avalanche debris collected at the head of the upper valley may be unstable. Large rocks and chunks of ice can fall at any time. Do not walk on the avalanche debris.